Kim von Arx lives with her husband and two daughters in the Frogner neighborhood in Oslo, a few hundred meters from the Frogner Park. In early May, the family noticed that their flowerpot on the balcony was damaged. 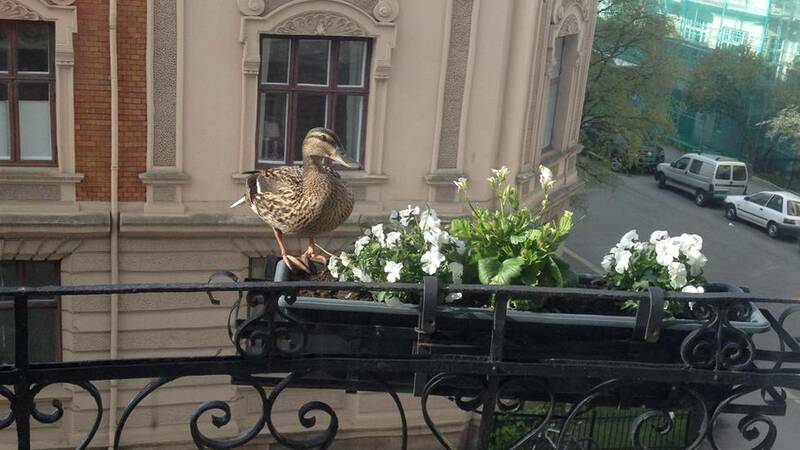 – It looked like a ball had landed in the flowerpot, but the next day we saw a duck standing on it, staring in on us, says von Arx to Osloby.no. She often feeds it with water and bread. 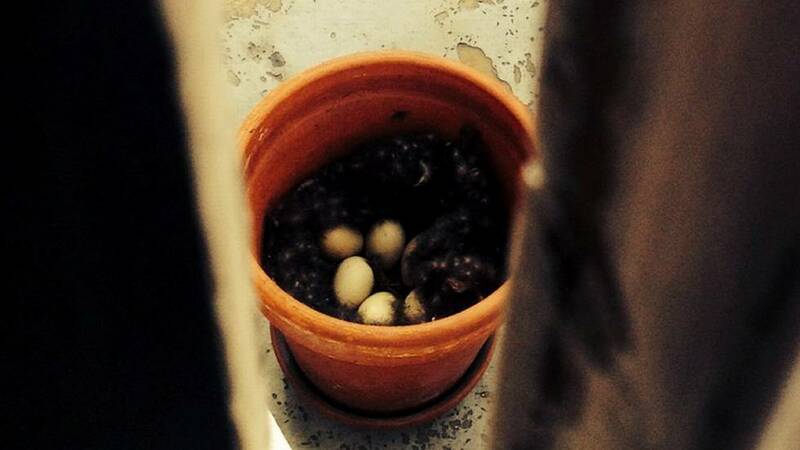 That same evening they discovered that mother duck had laid an egg in the flowerpot. She was gone a few days, but then she reappeared and laid two more eggs. Now, there are six eggs in the pot. – When I approach the food bowl, she is a bit stressed and breathes heavily, but remains completely quiet. Now, she does not leave the flowerpot at all, says von Arx. She has been in contact with the Norwegian School of Veterinary Science in Oslo for advice because she is worried about what will happen when the chicks are born high up on the balcony. Biologist and ornithologist Kjetil Solbakken in the Norwegian Ornithological Society tells that the mallard sometimes nest in people’s gardens and other urban areas. – They nest in their local district and are searching to find a safe place. They are not very shy. Nesting on a balcony, however, is a bit rare, says Solbakken. He explains that, although the eggs were laid with intervals, the duck will intensify the incubation after the last egg. In that way, all the eggs hatch within a short period. It takes just under a month, so the ducklings in Frogner will break out in mid-June. 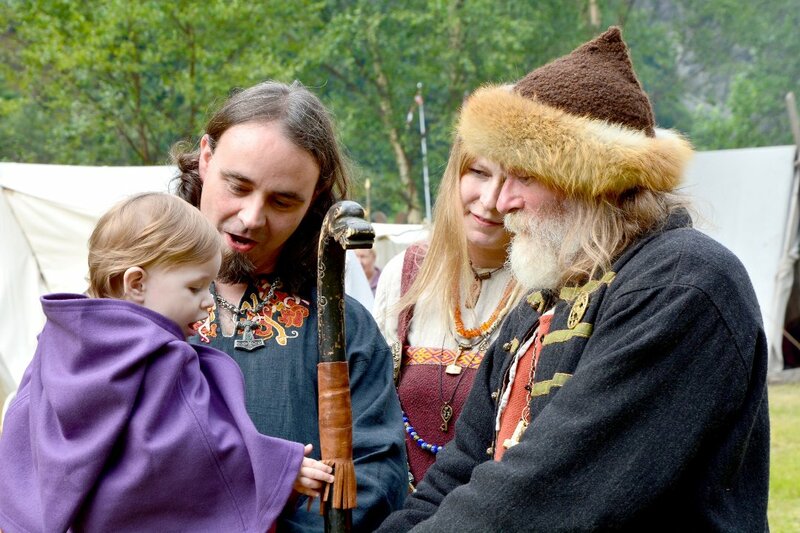 – When the eggs hatch, mother duck will watch them carefully and later take the chicks out on a stroll, says Solbakken. Probably she will take them to the Frogner Park, around 200 meters away. – She has a plan and most likely, she will take them to a place with fresh water. Solbakken thinks the mallard and her chicks are going make it just fine, even though it is far down from the third floor. – By nature, I would think she is going to jump. There is no other solution for a bird, they are not going to take the stairs, he says. If the mother duck needs some help, getting the chicks down, he recommends von Arx to carefully put them in a cardboard box and place them on the lawn. It is important to be quick and make sure the mother is present, because a mother duck who are separated from her kids might stop taking care of them. Poor things. There are so many of us they’re running out of safe places to go. Hope the ducklings all make it!